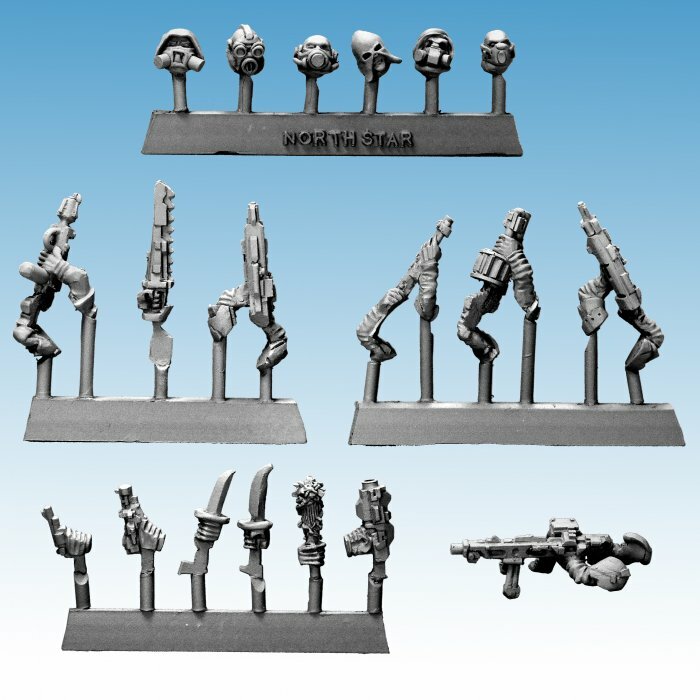 This is a set of heads, weapons and arms designed to transform your fantasy figures into science fiction figures. They have been designed for our Frostgrave plastic Cultist figures. Each pack contains 6 Cultist Heads, 3 pistols, 2 knives, 1 club, 1 Laser rifle, 1 auto rifle, 1 shotgun, 1 flame thrower, 1 grenade launcher, 1 light machine gun and a chainsword. Made of resin, for 28mm sized miniatures and supplied unpainted. These parts need glueing to the plastic figures, so glue is needed.